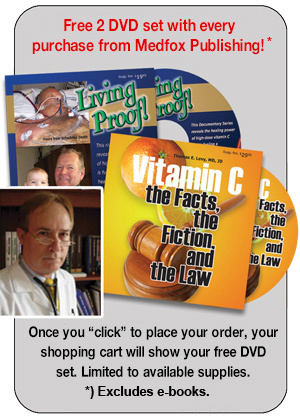 While the scientific literature has abundant documentation of the ability of vitamin C to cure a number of viruses considered to be incurable (Stone, 1972; Smith, 1988, Levy, 2002), I feel it is always of benefit to health care practitioners who are still a bit reluctant to freely give large doses of vitamin C to hear of yet another dramatic case report. In this particular case report, the viral infection had reached the point of being life-threatening, even though it was afflicting a young woman who previously had always been in notoriously good health. F.M., a 26-year-old massage therapist from Scotland, was in her baseline state of robust health when she gradually began to notice a persistent fatigue that lasted for an entire month. Other than this fatigue, however, she had yet noticed no other problems. After a month of this fatigue, she then fell ill quite rapidly with classical flu-like symptoms, including fever, chills, muscle aches and pains, headaches, and nausea. This syndrome occurred in Denver, Colorado, the epicenter of a flu epidemic that had already infected over 6,000 people statewide and killed over ten children and infants. She fought these symptoms as bravely as she could for seven to ten days by trying to continue her usual activities of going to school. However, by the time this period had passed, she only had the energy to stay in bed. She remained in bed for the next ten weeks, unable to regain enough energy to take any more than the handful of steps needed to get to the bathroom and back to bed. She noted that when she even attempted any greater level of activity, she would subjectively get a return of fever along with a worsening of her near-constant headaches. She described her headaches as being so severe that it literally took too much effort to even keep her eyes open for more than a few minutes at a time. Fortunately, her nausea was not accompanied by vomiting, or she likely would not have lasted the three months. As it was, she went from approximately 100 pounds down to 80-85 pounds when she was first evaluated and treated. Her initial physical examination was only really remarkable for her obvious emaciation and loss of fat and muscle mass. There was no evidence of enlarged lymph nodes or enlarged liver, as is often seen in infectious mononucleosis. She did have blood testing suggestive of a past Epstein-Barr virus infection, but this was not suspected to be playing any significant role in the development of her present illness. It is possible this virus may have caused the fatigue and likely immune compromise that left her even more susceptible to becoming another flu victim. Routine blood work that included a complete blood count and biochemistry profile was within normal limits, including the basic liver function tests. While I could not remember the last time I made a house call, I was convinced by the patient's caregiver that hauling her out of bed and down to my clinic would probably do more harm than good. My office manager and I brought the clinic to her-the IV, that is. The first IV consisted of 1,000 cc of lactated Ringer's solution with 50 grams of sodium ascorbate. Small doses of calcium gluconate, magnesium sulfate, and a complex of B vitamins (without B12) were added to the bag. This was infused over about three hours. Just before the bag was empty, six grams of glutathione was added to complete the infusion. This same regimen was repeated for a total of six infusions over six days. The last five infusions had no calcium added, and the sodium ascorbate amount was increased to 100 grams. All of the infusions were clinically uneventful and without discernible side effects. The morning following the first IV, the patient noted that her upper body strength had improved dramatically, although her legs were still very weak. She also noticed that her headaches were gone for the first time in three months. The morning after the second IV she had the energy to walk just a little inside the house. The morning after the third IV she walked outside for the first time in three months and enjoyed a little sunshine. Her appetite was improving and she was eating more as well. The first three IV's were given at the patient's home. The fourth, fifth, and sixth ones were given at the clinic. Other than having easy fatiguability, the patient appeared completely normal when she walked into the clinic for her fourth IV. She did note, however, that the night after her fourth IV she did have a brief return of subjective fever before enjoying a good night's sleep. On days five and six she felt normal, but the IV's were still given to try to assure that there was no clinical relapse, as Klenner had noted in the past when discontinuing the high doses of vitamin C too soon in the treatment of a significant viral infection. The patient was also instructed to start taking vitamins C, E, A, and bioavailable B vitamins on a regular basis orally. Influenza (the "flu") kills as many as 50,000 to 70,000 people annually in the United States alone. The even worse news is that annual influenza deaths have been on the rise, increasing substantially over the last two decades (Thompson et al., 2003). However, vitamin C in high enough doses has already been shown to be very effective at eradicating the influenza virus, sometimes after serious complications such as encephalitis have arisen (Klenner, 1949; Magne, 1963). In this patient, it should also be realized that 100 grams of vitamin C in an 80 pound body is the equivalent of 250 grams in a 200 pound body. Furthermore, the dose of glutathione is substantially higher than given in most centers. Glutathione can be considered as one of the most important intracellular antioxidants, while vitamin C operates prominently in both the intracellular and extracellular areas. While the IV's offered at our center are not prohibitively expensive for most, many patients might not want to "take a chance" on spending $1,000 to $1,500 over a five to seven day period for fear of not getting better. Cost of medical therapy is always a factor, and the doses of vitamin C and glutathione used here require a charge of $150 to $250 per IV, depending upon the size of the patient. However, when a patient can go back to work after the first 24 to 48 hours of treatment, these economics can often make a lot of sense.